Product prices and availability are accurate as of 2019-04-20 02:54:01 UTC and are subject to change. Any price and availability information displayed on http://www.amazon.com/ at the time of purchase will apply to the purchase of this product. Make your convenient single-serve coffee maker actually convenient, with the Nifty Home 35 Coffee Pod Carousel - Black. The last thing you want to have to do before making your morning coffee is to sift through a disorganized drawer of containers. The Nifty Carousel for K-Cups elegantly displays 35 K-Cups. 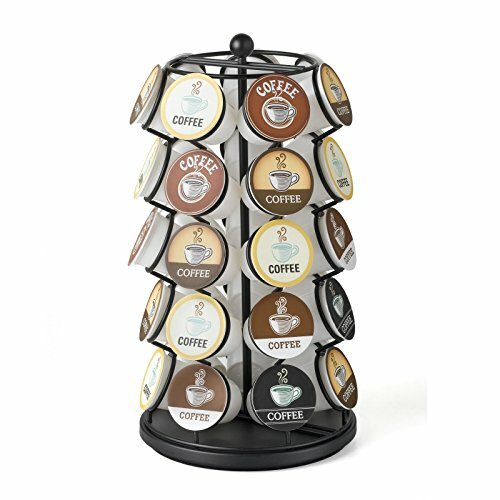 The lazy susan base rotates 360 degrees, making it extremely easy to find and select your favorite K-Cup flavor. The sleek black powder-coat design looks great on any kitchen counter top. About Nifty Nifty Home Products is your source for convenient answers to everyday difficulties. In 1991, Frank Tiemann founded Nifty with his patented invention the Nifty Lifter. Since that first foray into the marketplace, Nifty has designed and produced over fifty new thoughtful inventions. Much more than just functional, these items are cleverly constructed, emphasizing quality, innovation, and practicality to deliver you the very best solutions to domestic inconveniences. Holds up to 35 K-Cups. Lazy susan base rotates 360 degrees. Attractive black powder-coat finish. Quality construction built to last. Dimensions: 7 diam. X 13H in.. 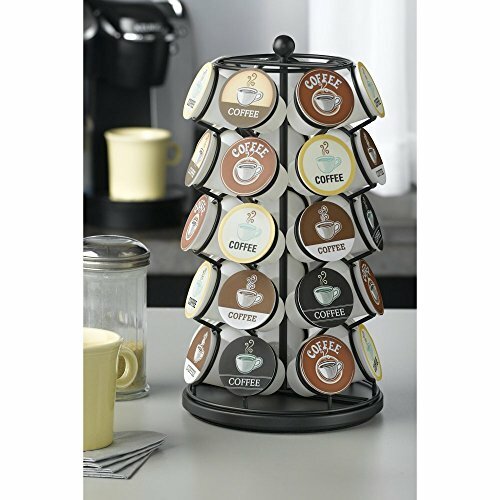 Holds up to 35 K-Cups Lazy susan base rotates 360 degrees Attractive black powder-coat finish Quality construction built to last Dimensions: 7 diam. X 13H in.